So, you’re thinking of buying property in Bansko? If you’ve done your research on Bansko property, you’ll know how low prices are right now. 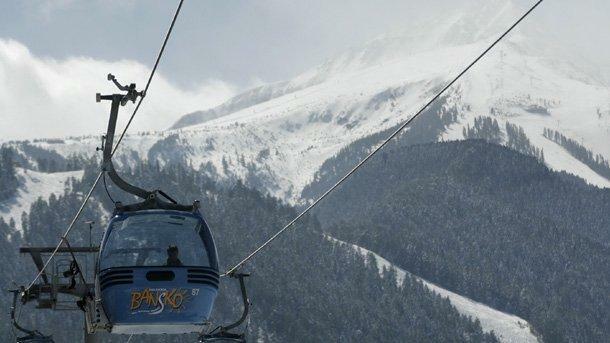 These days, Bansko is a buzzy, busy winter resort town.It is also growing as a Summer resort. In the winter there is the obvious influx of a quarter of a million skiers, boarders and winter lovers. In the Spring and Summer, walking, hiking, festivals, concerts and shows fill the diaries of visitors from all over the world. And yet you can buy a property in Bansko from as little as 15,000 euros (for a studio). Why so affordable?…what’s the catch? Bansko become a key European winter resort in 2004/2005. agriculture was the main game in town. Townsfolk were self sufficient. They kept cows, pigs, chickens and goats. Take a walk around town outside of the ski zone and you’ll find that many still do. Then came the ski resort, and things changed very quickly. Local people sold land, they became wealthy. As the story grew that there was an affordable place to buy in a winter resort,so buyers flooded in. As is human nature, less scrupulous agents pushed prices higher and higher. Property prices went crazy for a while and in fact per square meter, property in Bansko was higher than the South Coast of Spain, a resort of over 40 years. But that all changed in 2008. Boom to Bust…just like that. when things suddenly went wrong on a global scale. huge building projects that suddenly ran out of money, it was right in the firing line. buyers couldn’t dodge the bullet, what chance did Bansko have? So, when the banks stopped lending dozens of complexes went bankrupt. so as more availability meant lower prices, the cost per meter dropped further. Currently, buying a place here, fully furnished is actually below build cost. In other words you can buy a property in Bansko for less than it cost to build it. But the thing about Bansko is that the problem was all about timing. It just didn’t have time to mature. So when the money stopped flowing, everything else stopped. Build quality in many (not all) complexes is excellent. In high season it’s packed. New sewage systems have replaced the old. Roads have been resurfaced, entire streets pedestrianised. There’s a new motorway. My first journey from Sofia took four hours. Now it takes two. After some hard years, Bansko is coming back to life. It will be a beautiful town. All this, yet the price of a coffee, a beer, a meal out are still really, really great value. and quality would cost you in Bansko. UK, Ireland, Greece, Turkey and the surrounding countries. That’s a huge amount of money flowing into the town. All that… is your clue to the future of Bansko. growth amongst all the Europe resorts. It’s why I’m here. It’s why you should be too. If you’re after a quick return, Bansko probably won’t be right for you. You should keep an eye on the market, try and catch the next wave. and cover the bills with some seasonal rentals, it’s good. is a very, very good place to own a property. If all that makes sense, I’d like to help you get it done. Like I said , I’m Ciara O’Kane. You can view properties here and although I’m in real estate. I’m not a traditional real estate agent. I think you’ll appreciate the difference. I don’t just sell properties. The money involved (your money) and the decisions required are too important for that. for your personal circumstances. Every client is unique, you are unique. So the help I give has to be unique too. As an independent consultant I can represent you with any agent in town. before you contact the agency. I’ll get the facts you need as someone who represents your best interests. I’ll be your eyes and ears on the ground here. (it’s called an introducers fee), not you. So that’s Bansko, past, present and future. If you’d like to be a part of that story, hit reply and tell me what you need. I’ll respond quickly, answer thoroughly and give you everything I can so you can make informed decisions. Until then, enjoy the day ,I’m looking forward to talking to you. GDPR COMPLIANCE: By completing this contact form I agree to receive communication including marketing and information regarding the sale or purchase of property from Bluenote EOOD Ltd trading as PropertyBansko.com. located in MontBlanc, Dobri Chintulov 11, Bansko, Blagoevgrad, Bulgaria 2770. I understand that I can withdraw my consent to receiving this information at any time. The data will be processed until the consent is withdrawn. I have the right to access, rectify, delete or limit processing of the data, the right to object, the right to submit a complaint to the supervisory authority or transfer the data. I understand that the data I provide will be kept in a secure encrypted data environment and I can request that the information be deleted in ints entirety at any time.